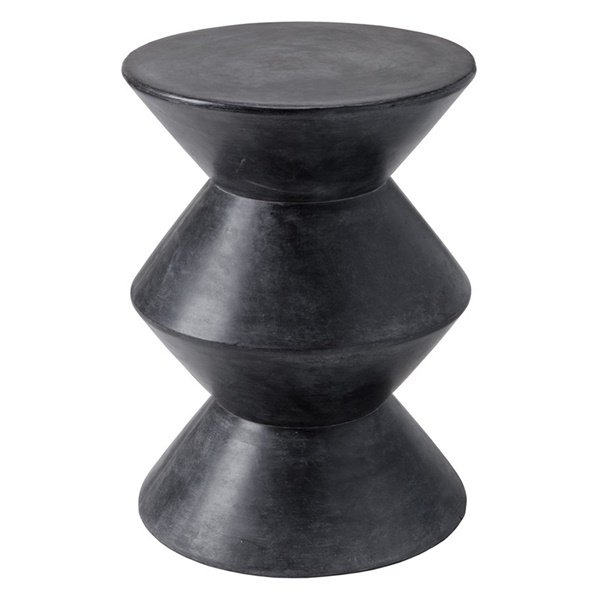 The bold, ultra-modern look of the Union End Table makes a funky, yet sophisticated addition to a living space. Its abstract geometric design provides an intriguing sculptural element, while its durable construction ensure years of enjoyment. The Union is crafted entirely out of sealed concrete for optimum strength, stability and wear-resistance, and features a polished finish for just a hint of shine. It comes in your choice of colors, and can add form and function both indoors and outdoors.